Less than 5 miles from Liverpool city centre, Orrell Park Hotel offers en suite rooms just 4 minutes’ drive from Aintree Racecourse. This well-appointed hotel includes a bar and lounge and provides free on-site parking and WiFi. 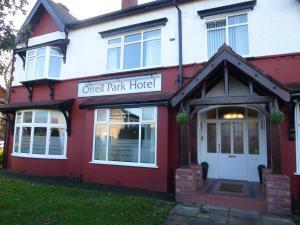 See all Orrell Park Hotel reviews..